Return from Sweden. 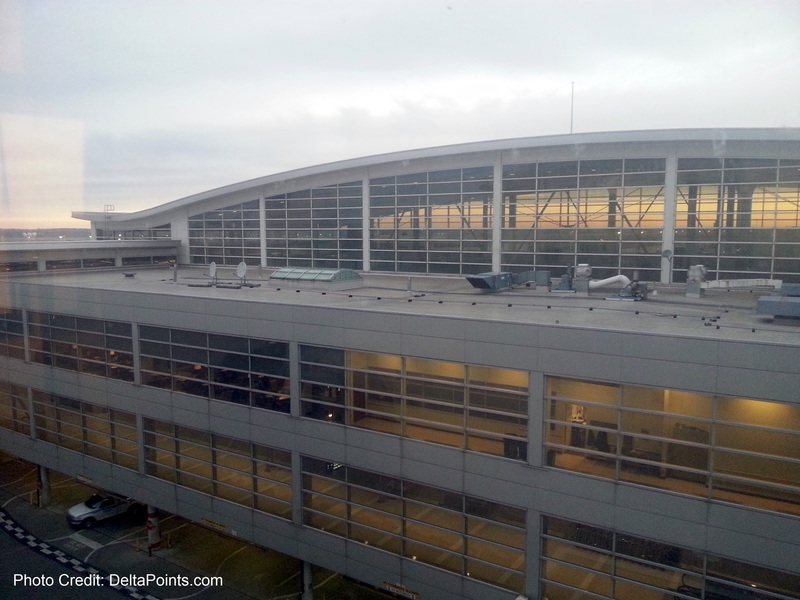 Delta 777 Full Flat & DTW Westin hotel review! 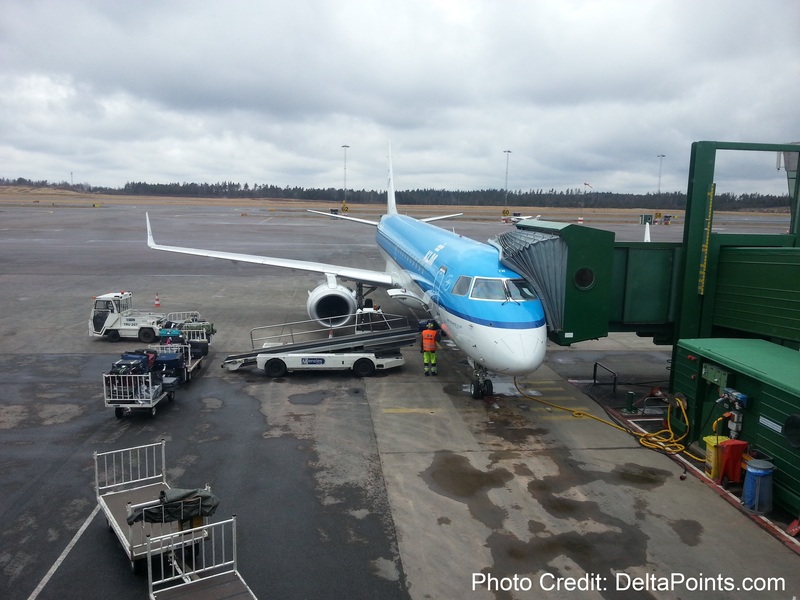 Time to fly home from Sweden. You can take a look at my outbound trip as well as my stay HERE and HERE. I was booked in KLM business class on a regional jet. The outbound 737 has 3 coach style seats with a middle one blocked off. This jet just has the same 2+2 as in coach. However, as with my outbound, business was just about empty so we each got our own row to enjoy space. The flight was fine, lunch was a sandwich with way too much bread, a little pastrami and no cheese (it is a strange European thing that you get one or the other, but not both). Coming in to Amsterdam we did have a nice view from altitude to see the landscape of canals and windmills, both old and new, as we descended to land. Now it was time to get to try the 777 full flat seats in the herringbone design. I picked the middle two seats row one as this way you get a nice large space in front of you to put your pillows and blankets when you do not want them. The pod area is a bit small to me. You really feel a bit cramped. The tray table is large and nice but I tended to hit my legs on it a bit trying to find a good sitting position with the seat. Also, when it came time to talk to Lisa, I had to lean back and sideways to have any kind of conversation. 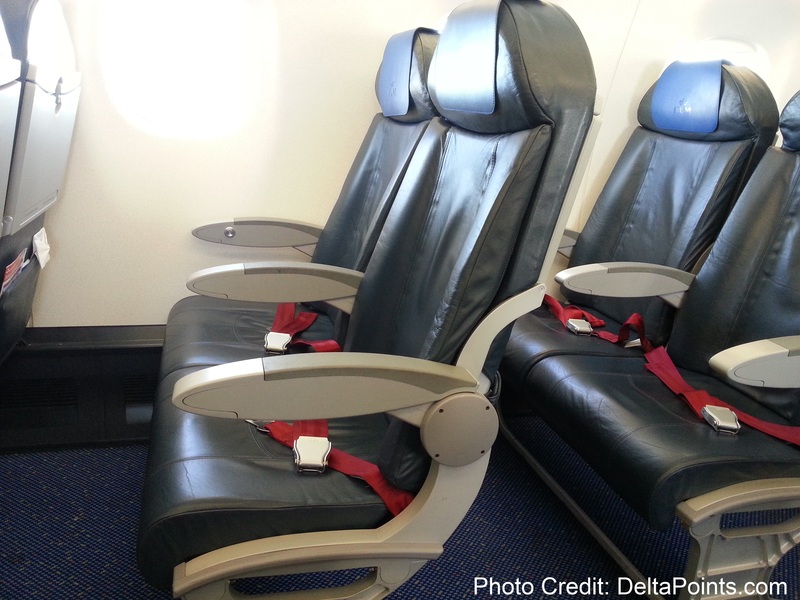 If you are traveling alone, the outer rows are definitely the way to go. Any maybe, even when as a couple, across from each other is just as well. I have to say, as far as awake travel, I tend to like the A330’s much more. Sitting, they are very nice and the video screen is nice size. The trip from Sweden is long. Coming in to South Bend, from Gothenburg, it takes 3 legs. We can either start very early from Sweden and land late at home, or, start at a respectable time out of Sweden and either overnight in Europe or in the States. 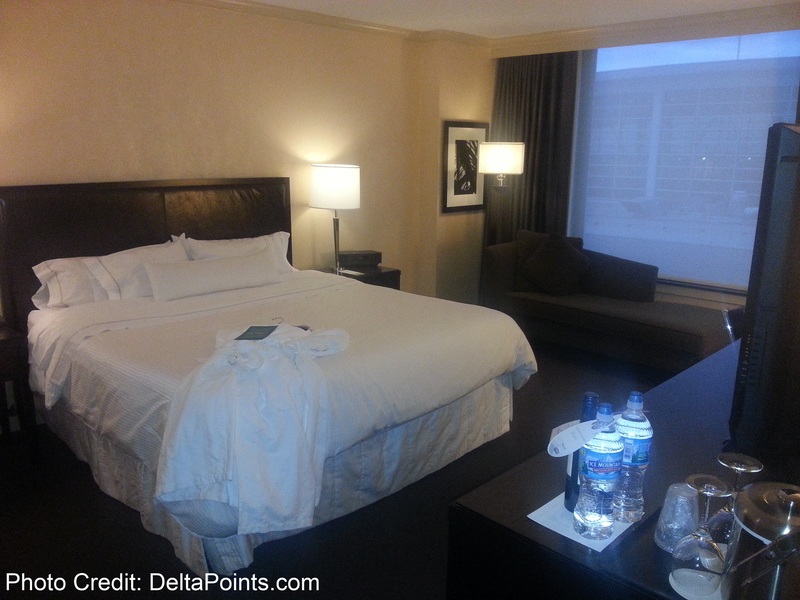 This time we booked at the Westin DTW as I had never stayed there and wanted to try it out. The above photo is the view of the Skyclub from our room. We booked the room under the old SPG point rate of 7000 points. 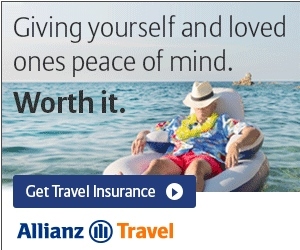 Thanks to CrossoverRewards, and SPG GOLD status, I was able to pick both 250 bonus SPG points and free wifi. 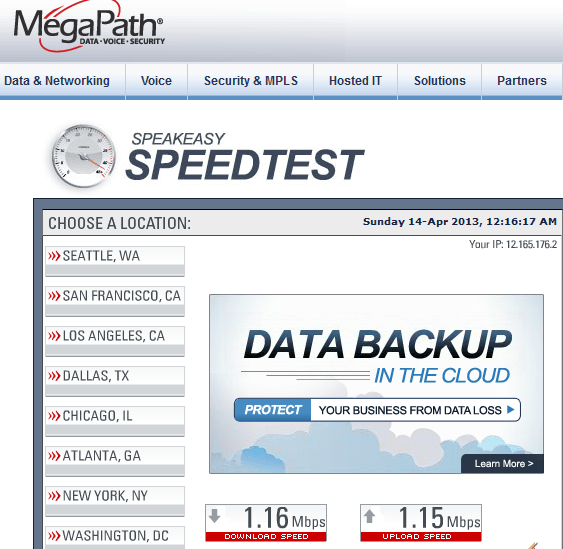 The performance was OK as you can see from the speed test. I was given a code that I could use on other devices. I asked about an upgrade as a GOLD SPG member and was given a very nice suite on the 6th floor. 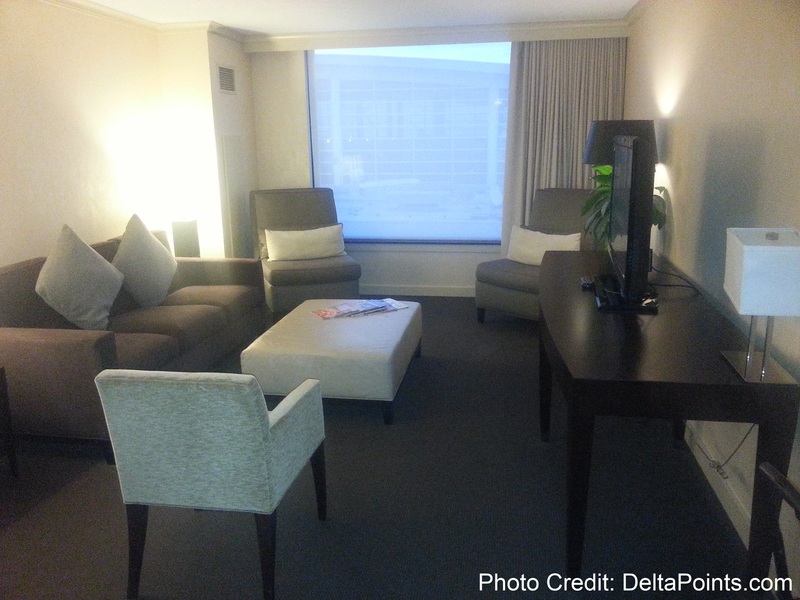 The king suite had a nice bed, Westin quality linens and was very quiet despite the location in the middle of the airport. The bathroom was huge. 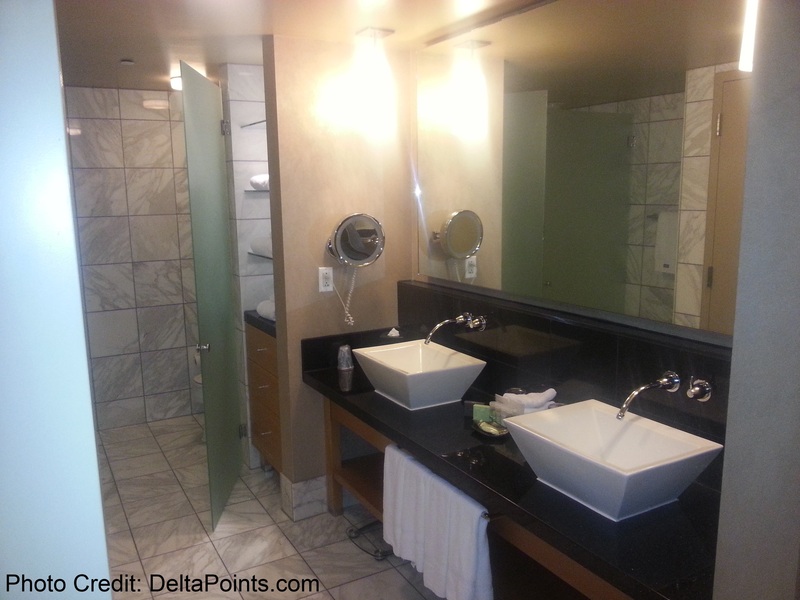 Nice double sinks and separate shower and lavatory area. 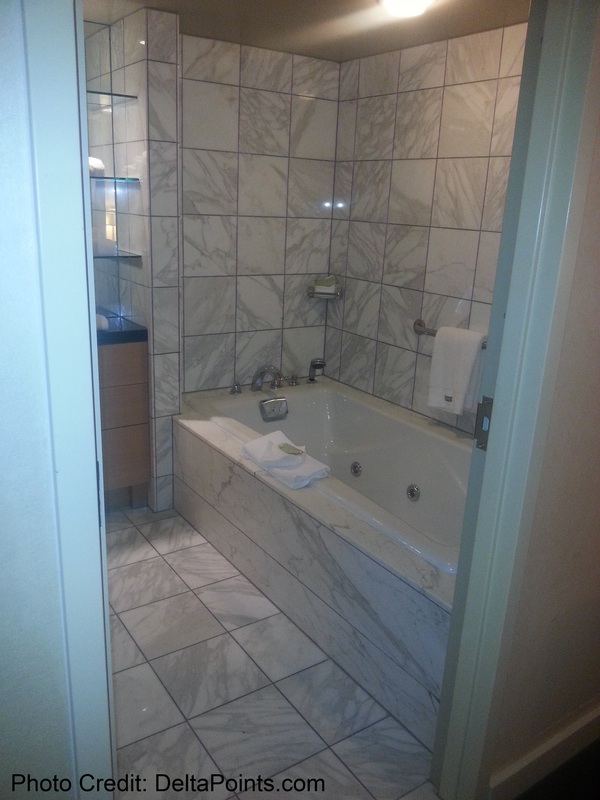 Not only that, it had a huge Jacuzzi tub. 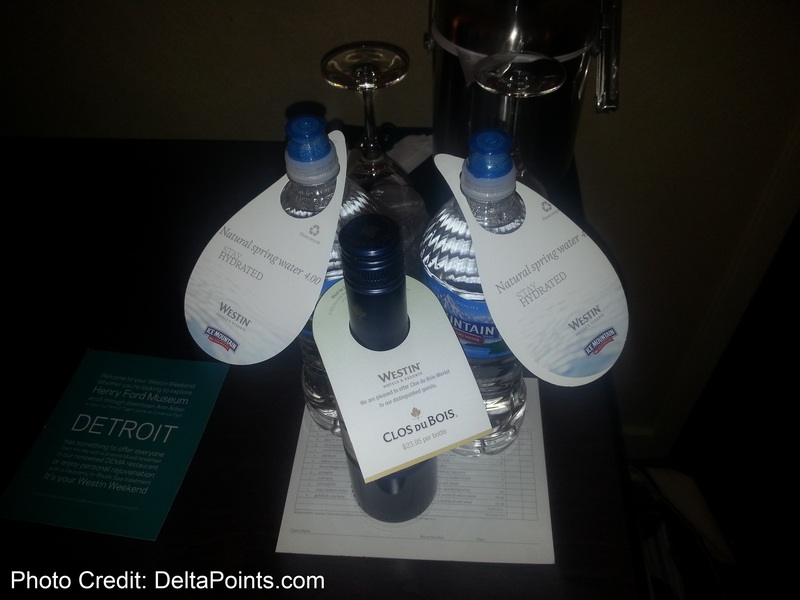 We got a great night’s rest, but did not take part of the rather pricey wine and water. We did try breakfast at the hotel and the courtyard and restaurant area was comfortable and the food was good (as well as the service). I would stay here again, but am a bit disappointed at the new 10,000 point per night new rate when you can stay at the Four Points by Sheraton or the Sheraton DTW for just 2000-4000 SPG points per night with a free short shuttle ride from the airport (I have stayed at both and they are nice). Sounds like you had a wonderful time!!!! 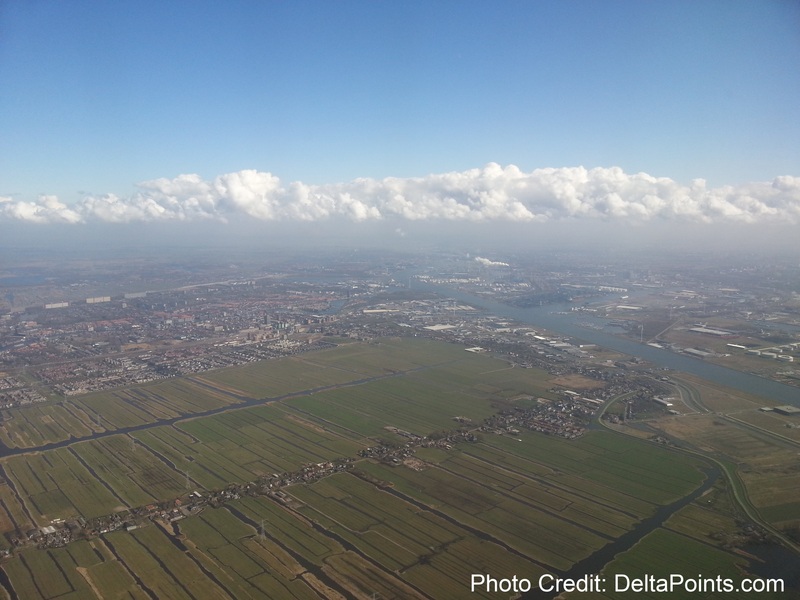 From your photo, you were on aN Embraer jet to AMS – that is why you had 2+2. The pods on Delta (or coffins as they are also known up here in Canada)are not that great IMO – same as Air Canada and Virgin, but they will do as long as you are not a “wide body”. Reverse Herringbone is way better IMO. 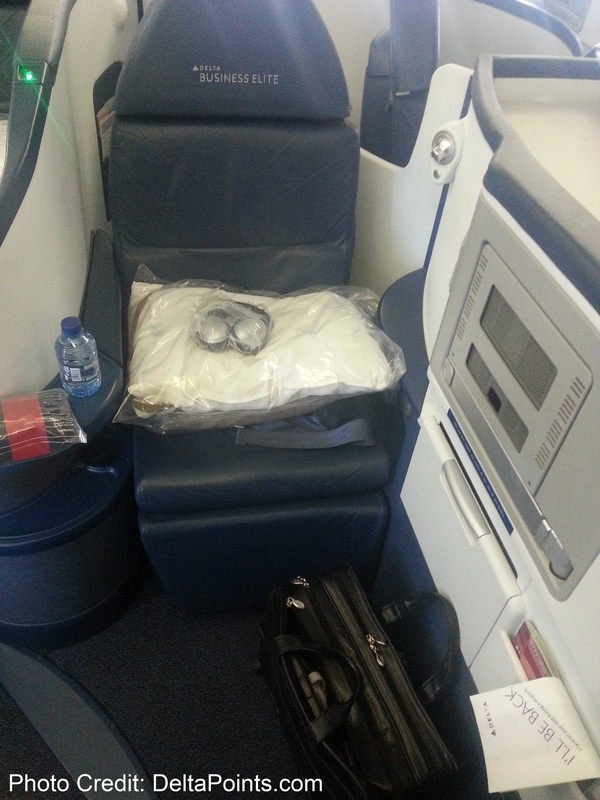 It is hard to believe you prefer the A330 business-class seats over the 777, but that’s personal preference. 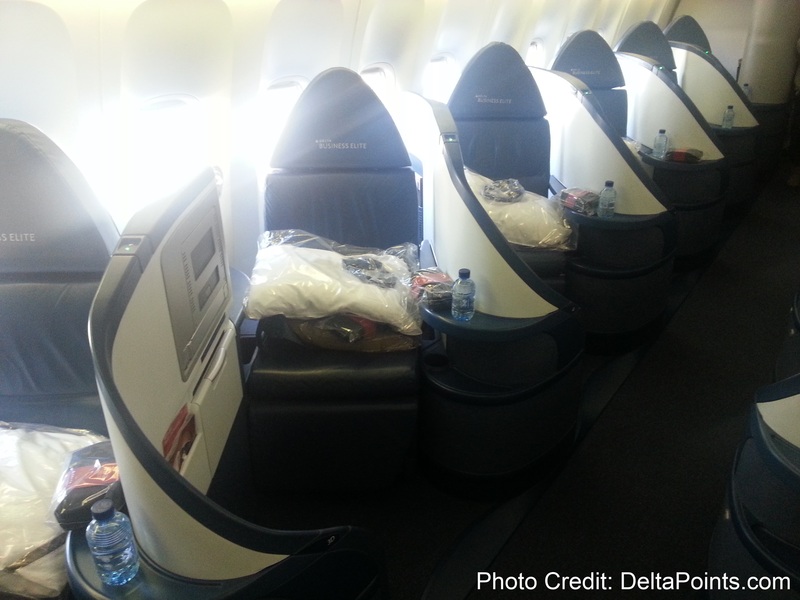 Have you tried the new business-class seats on the 747? 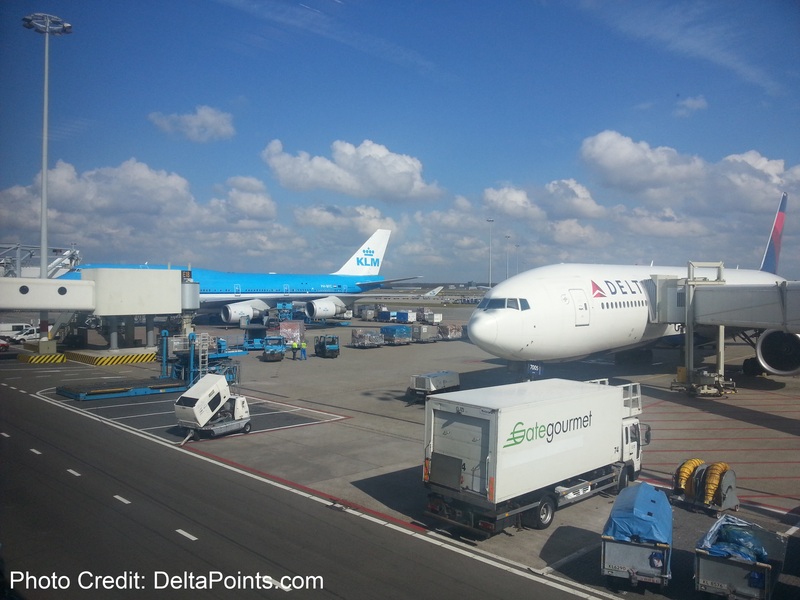 I had my first experience a couple of weeks ago on a flight from BKK to NRT. 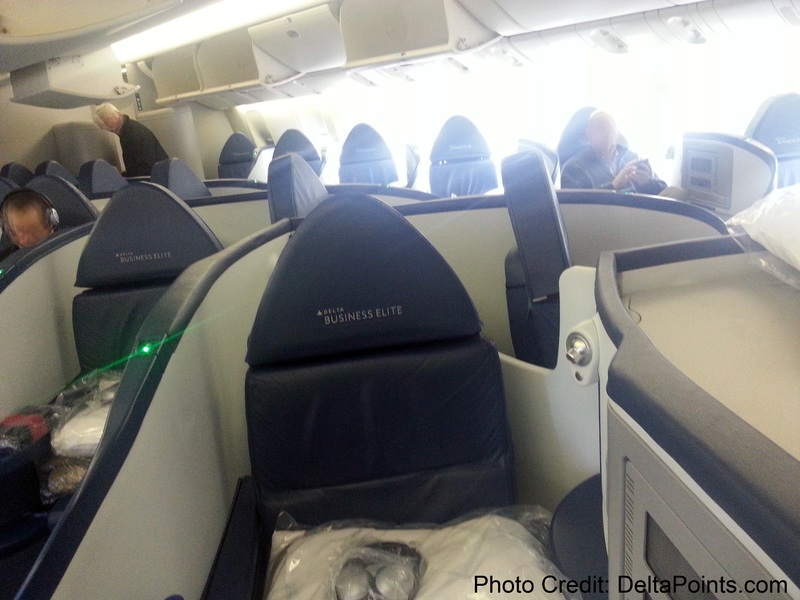 In my opinion they are the best business-class seats in Delta’s fleet. Much more space than the 777 and a much larger movie screen.